The Record Keeper Has Been Released! All I can say is thank you, from the depths of my core, thank you! At multiple points during the day I found that my face hurt from smiling, I could do nothing else but smile. 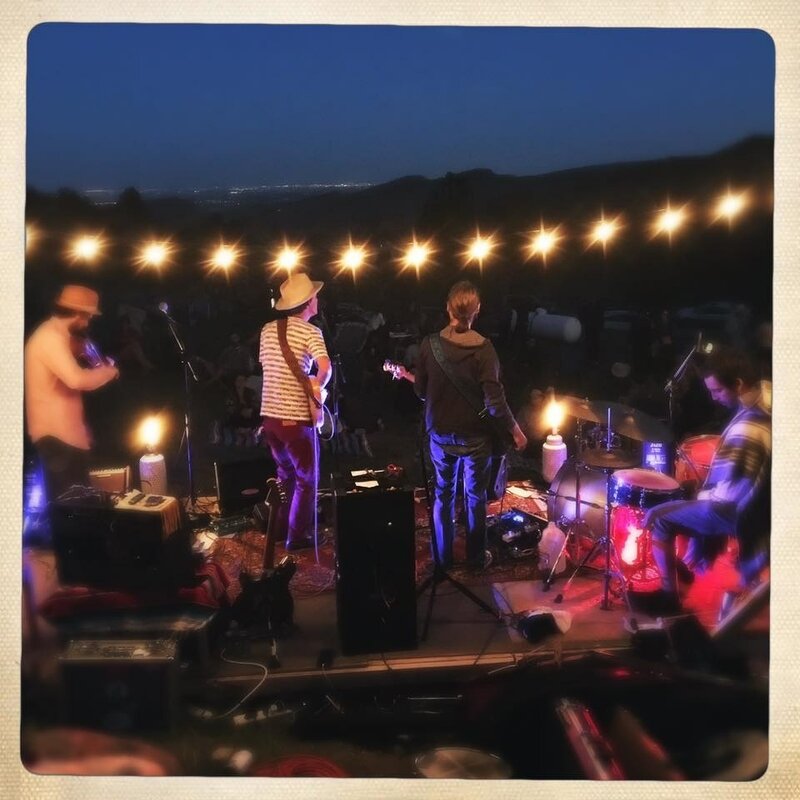 After writing and recording an album and dreaming about the perfect day and event to release it, I found myself there living it out amidst so many wonderful friends on the land I call home, enjoying music, food, drink and conversation on a gorgeous afternoon. All I could do was smile and feel truly blessed and fulfilled. Thank you. I hope you all had a wonderful time and enjoyed every facet of the party. Those of you who stayed until the late hours know that we ended the celebration by lying on our backs on the ground, side by side, below the glowing moon listening to Allen Toussaint's "Southern Nights" from his "Songbook" album. In the song he tells of traveling with his family from New Orleans out to the country to see the old folks. I love this 12 minute song, Toussaint tells a story where he so clearly depicts the scenery of the trip and shares of a threshold that is crossed where the peace, the quiet, and lifestyle in the country define the people and experience there. It felt like an appropriate way to end my celebration because everyone that came to the party traveled from somewhere, some from across the street, some from nearby cities, some even from California. Everyone gave me the privilege of having them step into my mountain world from somewhere else for an afternoon and gave me permission to be the guide through a program of handcrafted food and drink, homemade music, access to the land I call home, my songs and stories, and a new album that is very dear to me. Afterwards I hope you all feel you know me a little better. You are all a huge part of what I will always feel was one of the best days of my life. For this I cannot express and put earthly dimension to the gratitude that has overwhelmed me. I hope to see you all again soon. Saint Vrain / Learn to Sink Limited Edition 7" Release is Here! Vinyl, Vinyl, Vinyl!!! I'm excited to announce the first wave of release for my upcoming album "The Record Keeper". 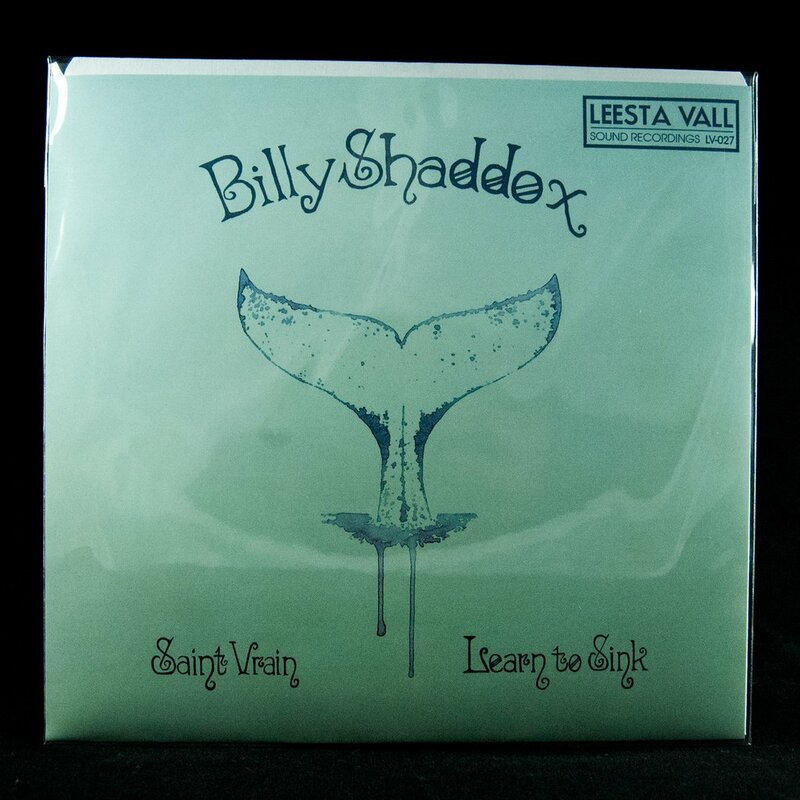 I have partnered with Leesta Vall Sound Recordings in Brooklyn, NY to bring you a very limited edition 7" release featuring two new songs "Saint Vrain" and "Learn To Sink". We only pressed 80 of these and a portion will be sold at shows, so don't hesitate in ordering your online copy because once they are gone, they are gone! 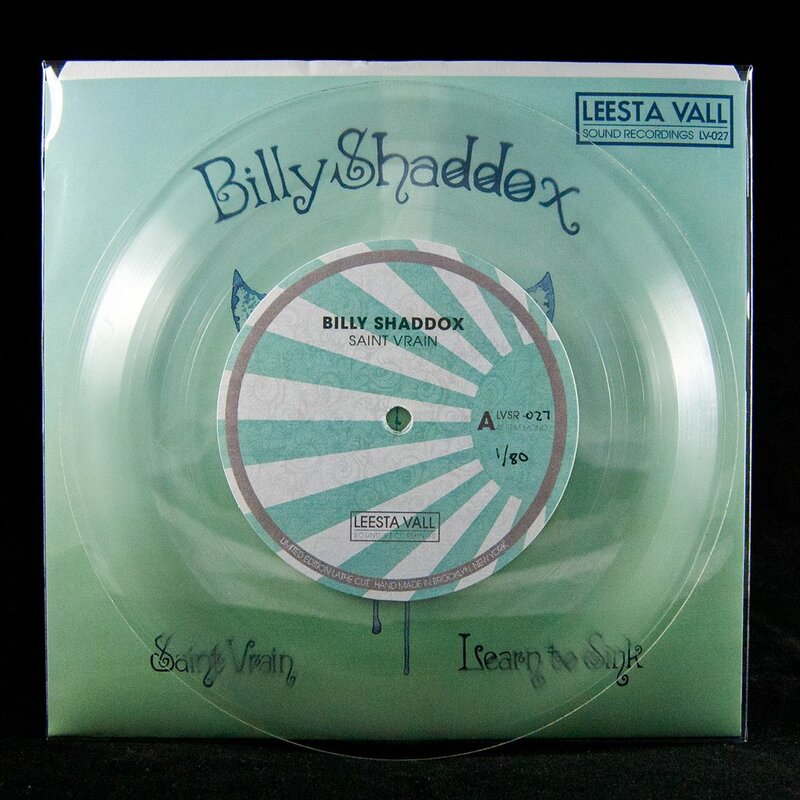 Your vinyl order comes with a digital download of the songs. 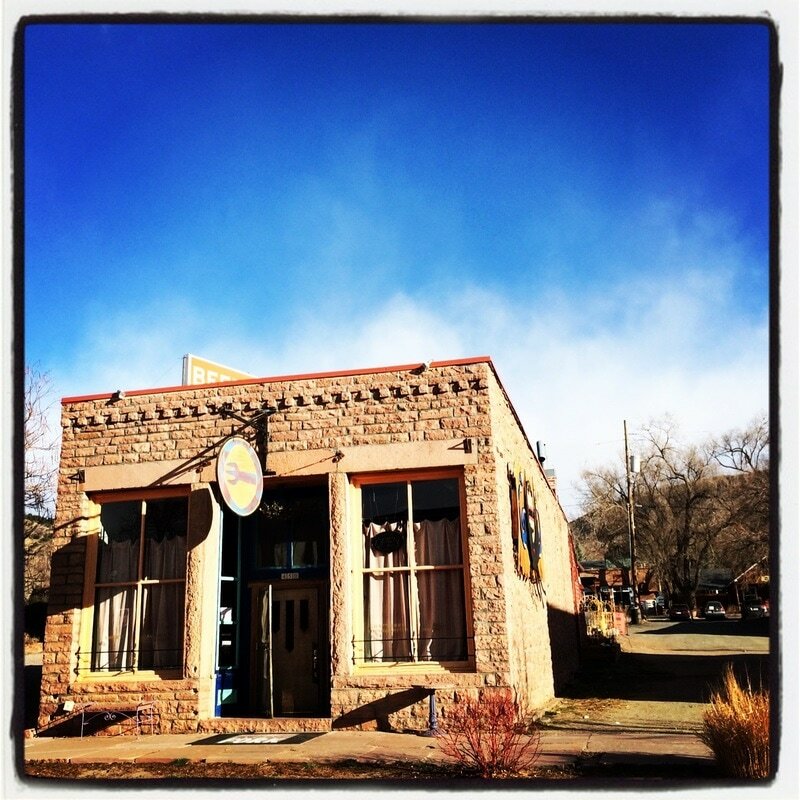 Saint Vrain: The Saint Vrain river runs down from the Rocky Mountains through the heart of my town Lyons, Colorado. This is song is about the human/nature connection, the peace I feel when I am home and away from commotion of the city, and the power a river has to bring two people together and carry them through life. Daniel Herman plays the organ on this song. Learn To Sink: One Sunday afternoon 2 years ago I found myself sitting in a park in Kearney Nebraska, at the end of 2 week tour, waiting for the hours to pass so that I could perform that evening. I longed to be home with my family, and wondered why I was playing in Kearney Nebraska on a Sunday evening. I am a punctual person, and on this day my punctuality got the best of me, I was way too early for an evening engagement in a town that offered little in the form of entertainment. I sat down in the park and penned this song, a ballad that tells of the solitude of the road and the persistence of a heart on a mission that has to "Learn to Sink" now and again. Rob Stragnell performs upright bass on this song. These are the first offerings from my home studio "The Gulch", except for where otherwise noted, I performed all of the instruments in these songs and I produced these recordings. The full length album that these songs come from "The Record Keeper" will be released next month. This 7" features one of my paintings and some hand lettering I crafted. My friend Molly Tuttle helped me out with the graphic design. ​I have been playing music in bars and venues pretty much my whole life. Along the way there have been places that teem of holiness. Some are the stages where you know your favorite musicians have performed in the past and you get to occupy a common space for the night, maybe you tap into some energy they left behind. Other places are straight dives that should probably not even host music but for whatever reason there's magic there and the space is transformed for the night while you are present. And then there are places like the Lyons Fork. There have been a few places like this that stand out in my memory and heart as housing some of the best nights of my life. Joe and Andy’s, The Soul Kitchen, and The Ould Sod come to mind. It's when we set up our gear in the corner of a room, a bar, or a restaurant and deliver a message from the heart. No matter how unlikely the space, we put all of our energy and intention into our songs and lay them out in the most vulnerable and honest of ways for whoever is there. These are the places I search out and want to return to. The building in this photo is my sanctuary, a night here with my friends making music and my soul is fed. I have what I need to survive the in between time until I get to do this again. The magic partly lies in the fact that not every performance will be like this, that streak of divinity that seems to guide us when we are turned on like we were on Sunday night at the Fork isn't always there, but when it is I am grateful. Whose dark veil seems to give us all permission to open our souls a little wider, dance a little looser, and stretch ourselves a bit further than we’ve previously gone. We play at the Lyons Fork almost monthly, it is a little brick room full of life, spirits, good folks and when we are playing, lots of music! Come by sometime. There are three shows coming your way in this first week of February. 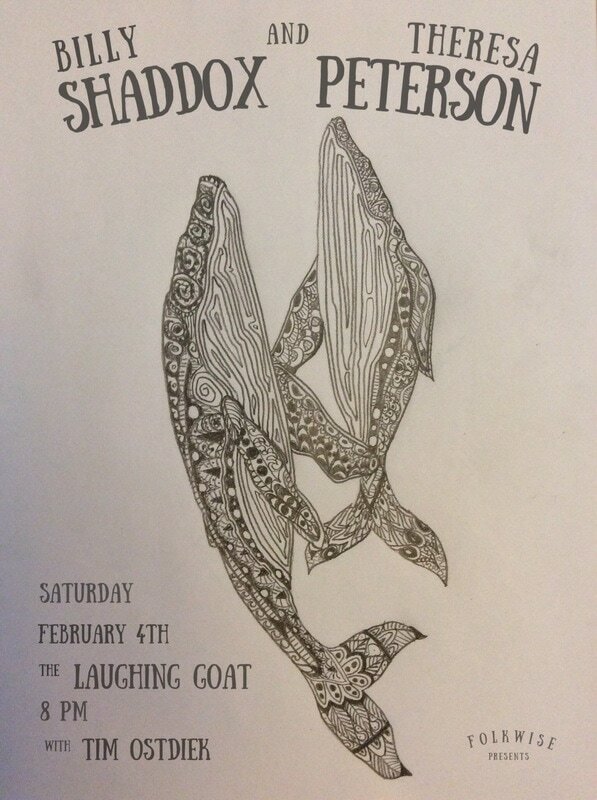 On Saturday night I’ll be sharing the stage with Theresa Peterson at the Laughing Goat in Boulder. 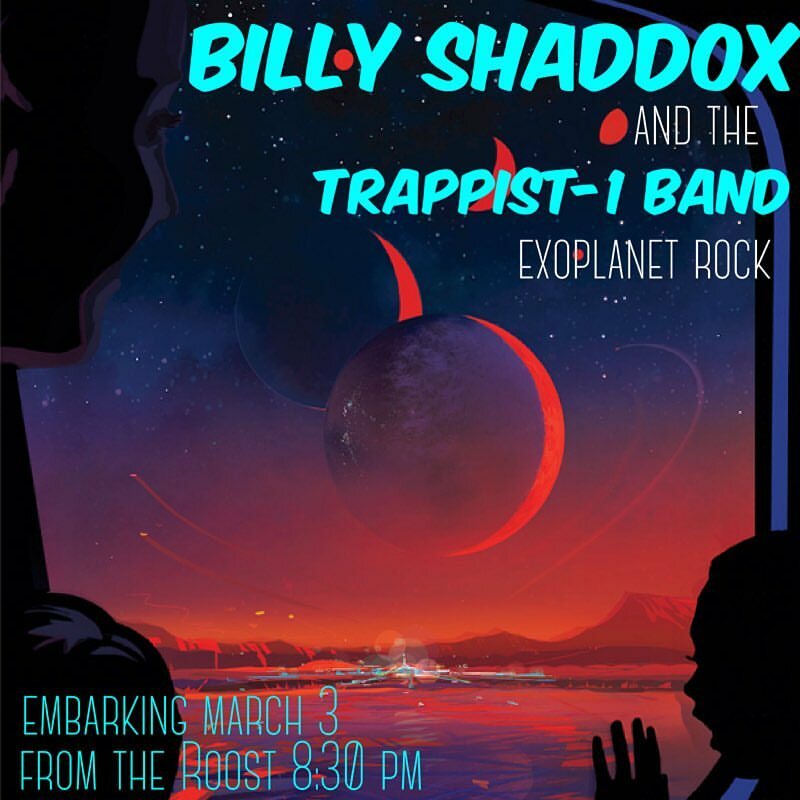 Theresa and I are putting on a show where we collaborate on each other’s songs while being backed by my band (Chad Mathis on Bass, and Gilbran Chong on Drums). This is going to be a really fun night of music. Tim Ostdiek opens the show at 8 PM. Come Monday I am setting out for Salt Lake City for a one night only solo acoustic performance at Thyme and Place. Thyme and Place is a great space, normally a home gardening shop. We’ll be cleaning out the floors to make space for music on this night. This will be an intimate evening of songs and stories. I plan to try out some of the material from my upcoming album “The Record Keeper” for the first time at this show. I'm teaming up with host of the "Boulder in the Round" music series, Theresa Peterson, for a special show at the Laughing Goat on Saturday, February 4th. Theresa has sat in with me and the band at recent shows playing both guitar and violin. On this night we will be playing each other's songs back and forth. Chad Mathis will be playing bass and Gilbran Chong will keep the beat. Tim Ostdiek will open the show with a solo set. The music starts at 8 PM. 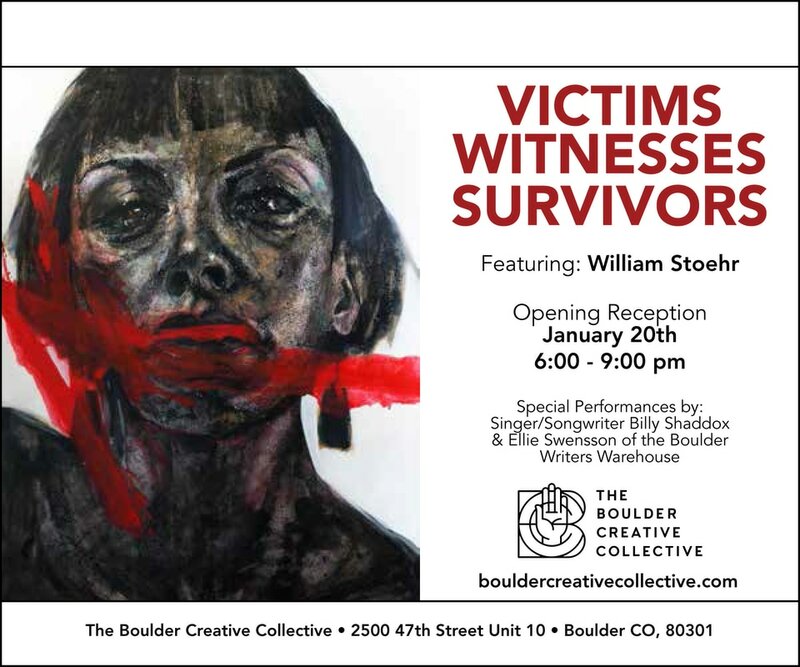 I am honored to be performing this Friday in Boulder at the Boulder Creative Collective for the opening of William Stoehr's "Victims, Witnesses, Survivors" Exhibit. William is transforming the Collective's space into a church for the night, his work will be the stained glass shining a light on the congregation that will not soon be forgotten. Prepare to see yourself in this light, are you a victim? A witness? A survivor? The band and I will be his choir, the hymnals inked with my songs. Oh come all ye weary, travelers in need of redemption, take a page from the book of Art with us. The Church of the Williams will ask you to look to the future with a new found commitment to tolerance and righteousness. I look forward to seeing you from the pulpit.